The last thing you would imagine to see flying in the air is something you’d normally slither around the ground, like a snake. 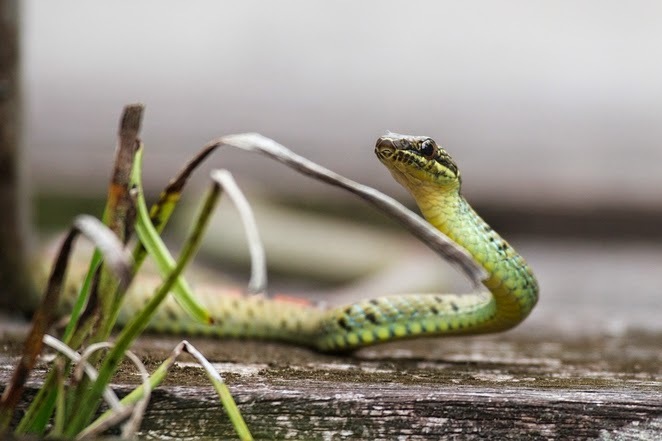 A flying snake sounds like something out of a nightmare, but there is an actual type of snake found in the southern areas of Asia that does just the thing. 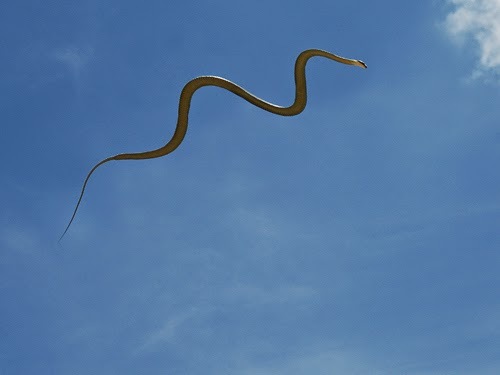 Flying snake, also known as Chrysopelea, doesn’t actually have wings like a bird. They’re misnomers that glide through the forest by jumping off on tree to another, shifting their bodies during free fall to catch air and gain lift. In the past, these snakes were looked at as parachuters, but recent studies on their physical structure showed how their tube-shape and lack of limbs help them glide through the air. 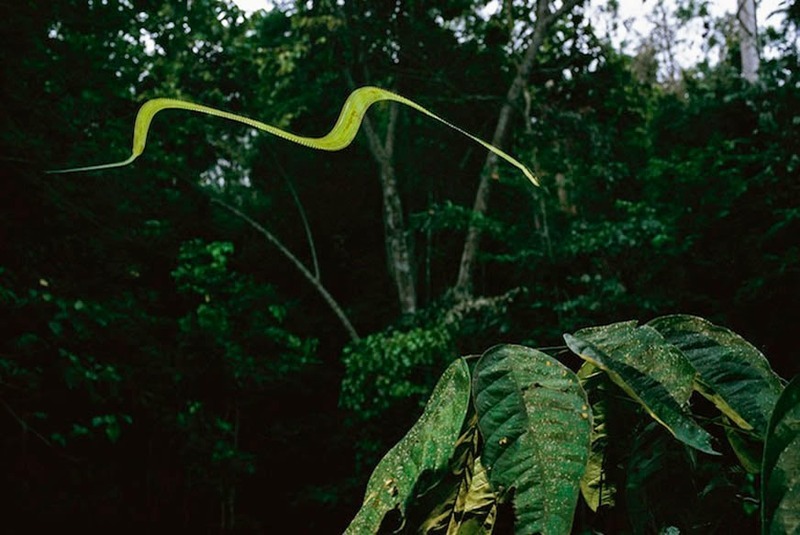 To lift off, a Chrysopelea would slither off to the end of the tree branch, dangle out to a J shape and then propels itself into the air by forming an S shape. Once in the air, it positions itself into a C shape which helps traps the air and let it glide. It can even turn different direction while gliding. It’s complex way of setting off and moving around in the air technically makes them better gliders compared to a more popular gliding animal, the flying squirrel. There are 5 known flying snake species, all found in the western India until the Indonesian area. Not a lot of things are known about these snakes and how they behave in the wild, but they’re said to spend most of their time off the ground and on the trees. In fact, they rarely leave the canopy. They can grow from 2 to 4 feet in length.